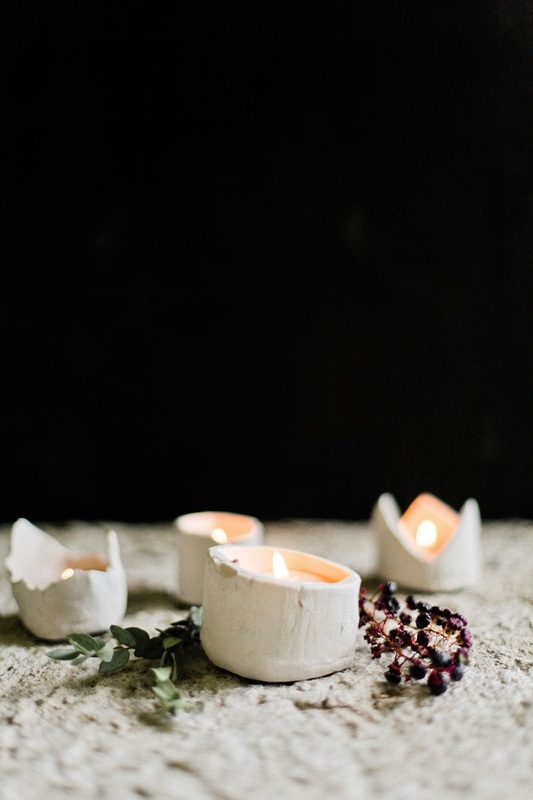 The gals over at Irrelephant are taking over today and sharing with you the prettiest DIY. 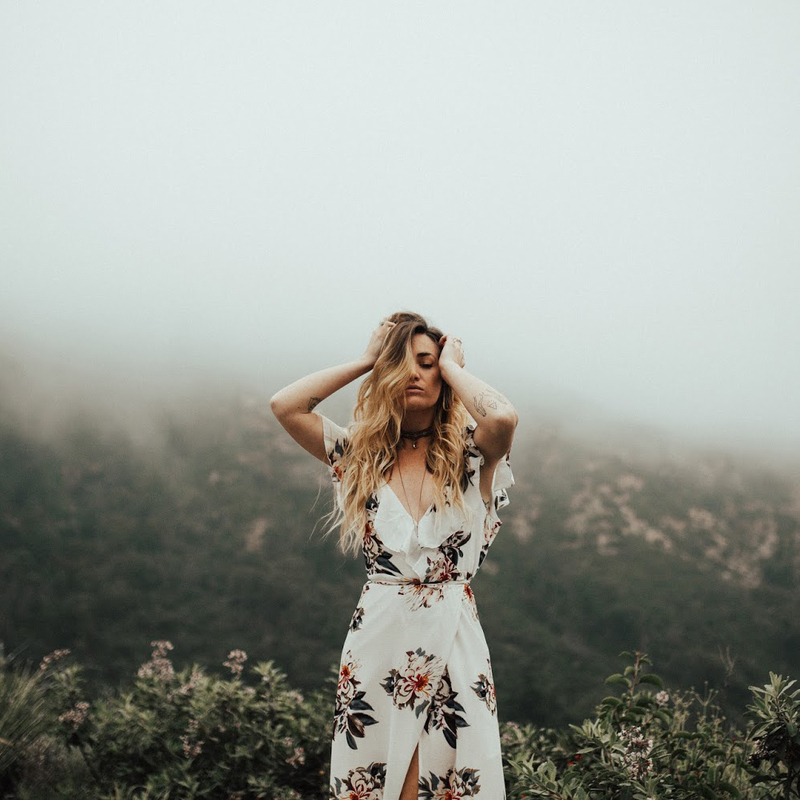 Irrelephant is a blog ran by stylists, Molly and Joanna. Both of them love to create and collaborate, which is how/why they started Irrelephant. A place where you'll find DIY's, recipes, and daily randoms. Molly and Joanna strive to keep Irrelephant a place that is humble, raw, and honest. I'm constantly blow away by their talent and ability to create such beautiful photographs. Without further ado, take it away M + J! Supplies: air dry clay, x-acto knife, paint brush, cup of water, candle wax, candle wick. 1. 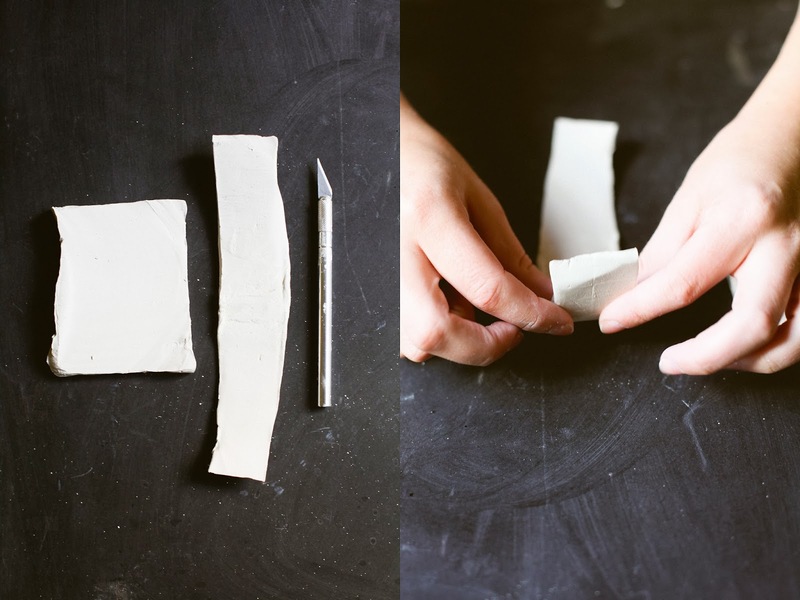 Cut 2 thin slices of clay by slicing it with string. We got our air dry clay at our local craft store. 2. Keep one square and slice the other in half to make a thin rectangle, shapes should look like in photo. 3. Start rolling the rectangle piece connecting the ends together. 4. With water and a paint brush, brush the crease to blend in together, then take your fingers and mold it smooth. 5. 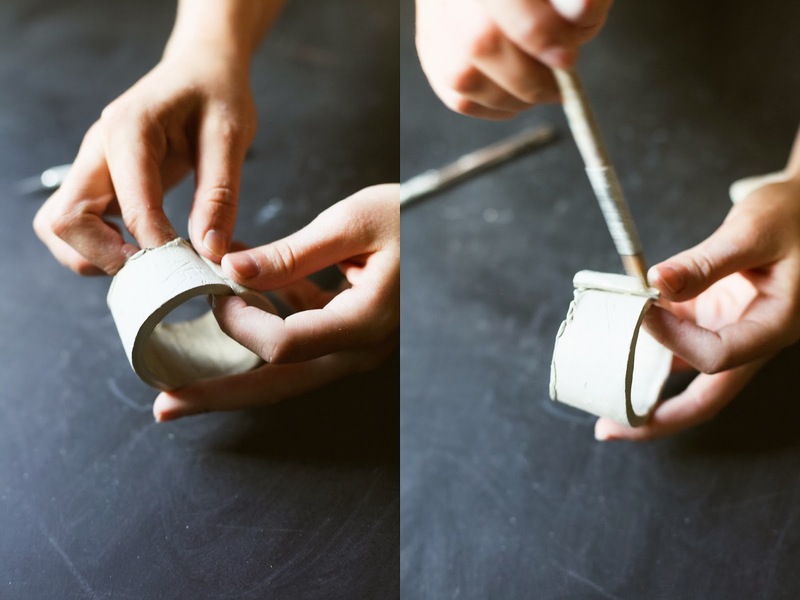 Place your round piece on top of the square clay you put a side earlier, take your x-acto knife and cut along the edges. This will be your bottom. 6. Again, take your brush and brush in the crease and then mold smooth together. 7. Set out to dry over night for maximum reassurance. 1. Take old candle jar (with wax that can no longer burn) and place in a pan with water line to a little over wax line. Boil water until wax melts. 2. 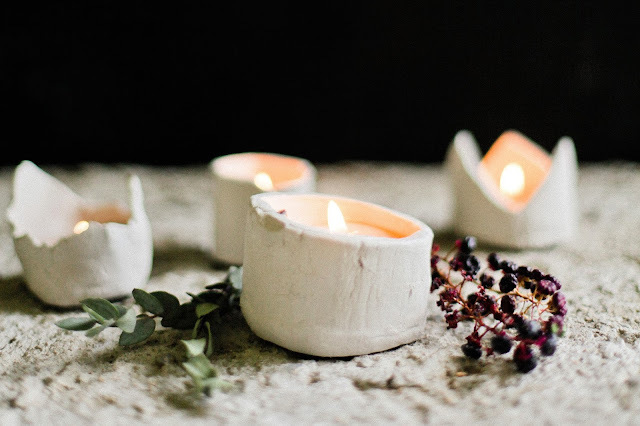 Pour wax into new clay votives. 3. If you don't have wicks, we cut old birthday candles shorter and used them as our wick. Works magic! Its pretty easy and the best part is, you can do as smooth as you want or as rough and organic as you'd like. we liked ours to have a bit of texture and wanted them to look like you found them in an old european castle from hundreds of years ago! Don't be afraid to have fun with the size and shapes. 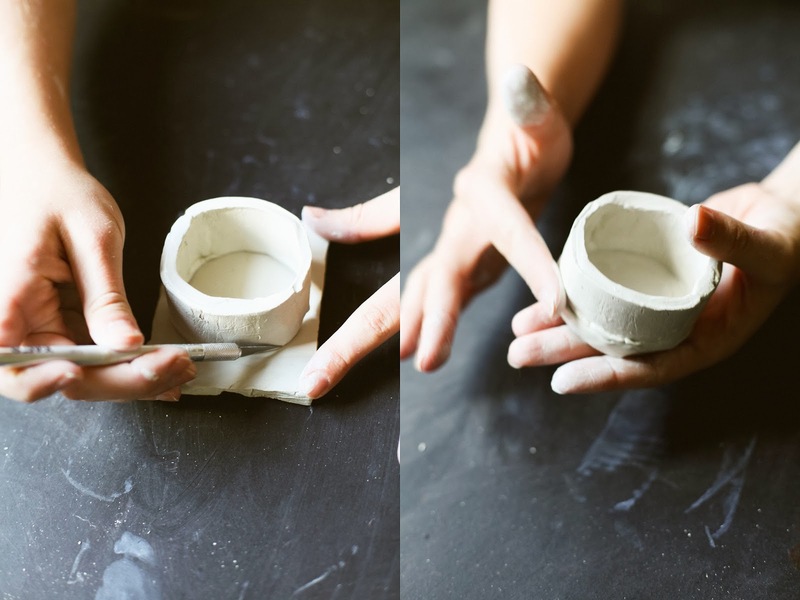 Clay is pretty easy to work with and wonderful to mold beautiful things with! Thanks so much, Joanna and Molly! Be sure to follow them over on their blog. You won't regret it. what a great idea, especially with the holidays around the corner.. thanks for sharing! These are gorgeous! I actually make and sell candles on etsy (www.eancandles.etsy.com) and I LOVE this idea. Love these, they all look so beautiful! these are so pretty, i think i'll defiantly try this! Such a simple but lovely idea. So lovely! I love that they are so simple, yet so beautiful! I love the texture and irregularity of each votive holder. They look like "found objects." I'm going to try these myself. They will look beautiful on a mantel piece with fresh pine boughs this winter.